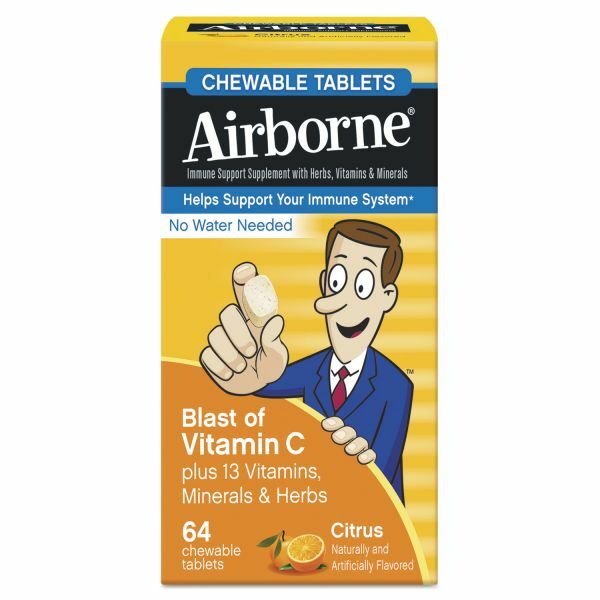 Helps support your immune system. Contains a blast of Vitamin C plus 13 vitamins, minerals and herbs. Airborne Immune Support Chewable Tablet, Citrus, 64 Count - Help support your immune system with a blast of Vitamin C plus 13 vitamins, minerals and herbs. High in antioxidants. No water needed. These statements have not been evaluated by the U.S. Food and Drug Administration. These products are not intended to diagnose, treat, cure or prevent disease. Use only as directed.